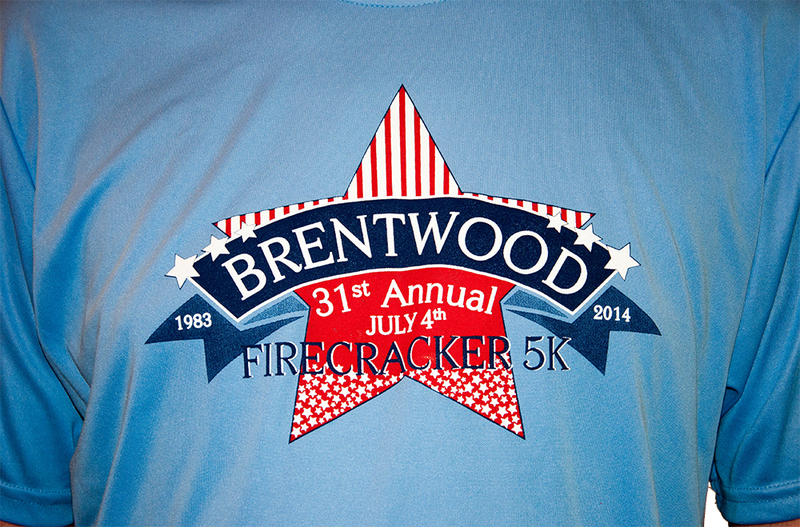 In 2014, Brentwood boro needed a new logo for their annual 5K race that takes place each year on July 4th. The logo I created for that year was screen printed on the race shirts and printed on the race bib and the shoe tag worn by each runner. 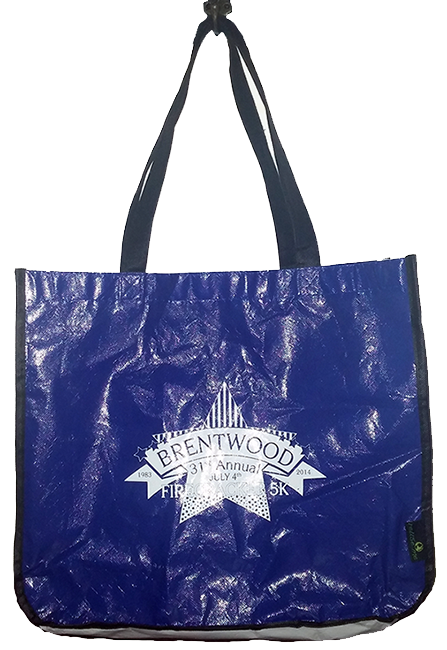 The logo was also screen printed in all white on the race bag given to each runner. Every year since, I have updated the logo by changing the year and number. 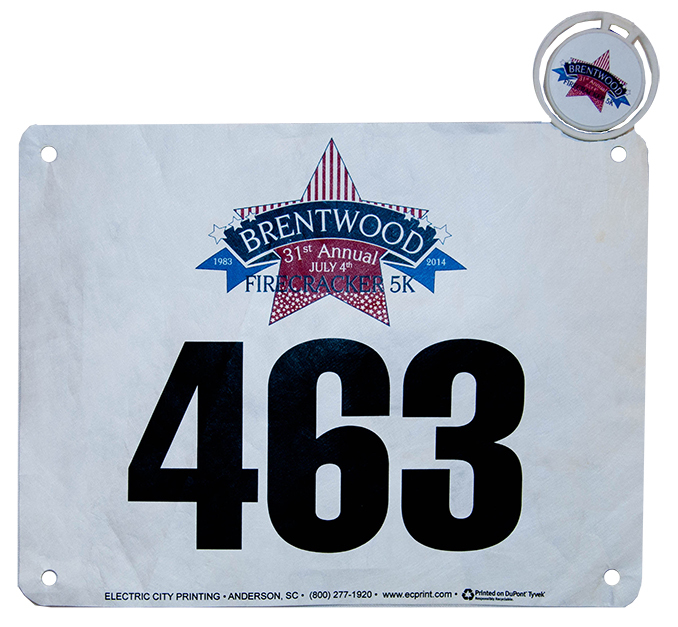 It is used online on the race and registration websites in print and television ads for the Brentwood 5K race, on stationary, and on race banners that hang across the street.